1. You can’t come to town without making a “Pit” stop at UNC’s best attractions. Spend some time walking around UNC-Chapel Hill’s beautiful campus. Head to the great central courtyard on campus called “The Pit” to see the popular gathering spot for students. It also serves as a stage for performances and speakers so if you’re lucky, you may get to see some unexpected entertainment during your visit! 2. 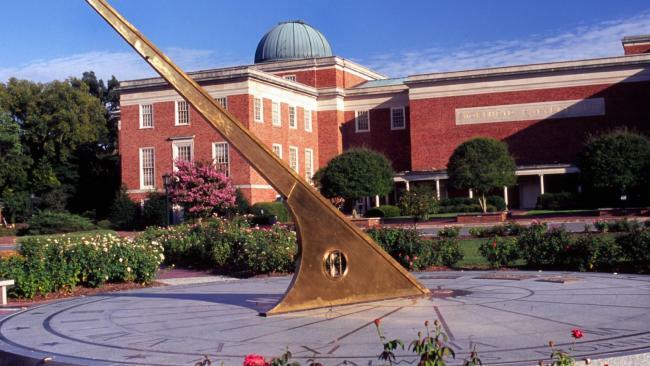 Located in the center of campus is the famous Old Well. 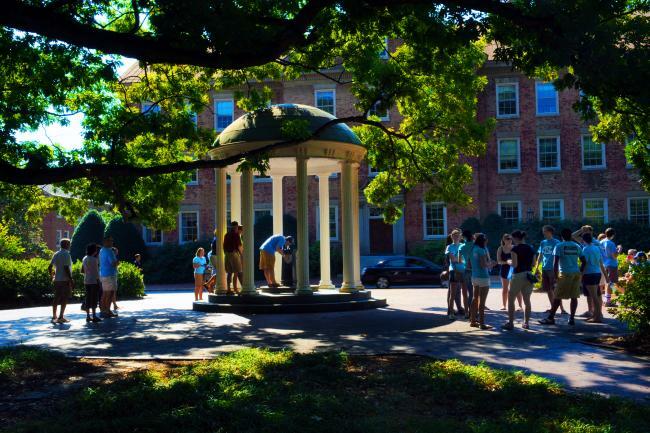 Take a sip out of the Old Well, a campus tradition that promises a successful academic year for students that partake. 3. Just a short walk away from the Old Well is the marvelous Coker Arboretum. Laced with pathways and more than 400 species of ornamental flowers, trees and shrubs, the Coker Arboretum is a spot you won’t want to miss. 4. Calling all basketball fans – the Carolina Basketball Museum is for you! As the first university basketball-only museum in the country, it houses hundreds of authentic artifacts and visuals that highlight the program’s long history. Guests can learn about the major players and coaches that have contributed to the program’s success, and did we mention it’s free? Definitely something you won’t want to miss out on. 5. Spend time on Chapel Hill’s most vibrant thoroughfare: Franklin Street. Historic Franklin Street stretches over three miles and offers a wide range of activities and cultural experiences for all to enjoy! Fan favorite stops include: Top of the Hill, Carolina Coffee Shop, Al’s Burger Shack, Mediterranean Deli, Kipos Greek Taverna and Linda’s Bar and Grill. 6. 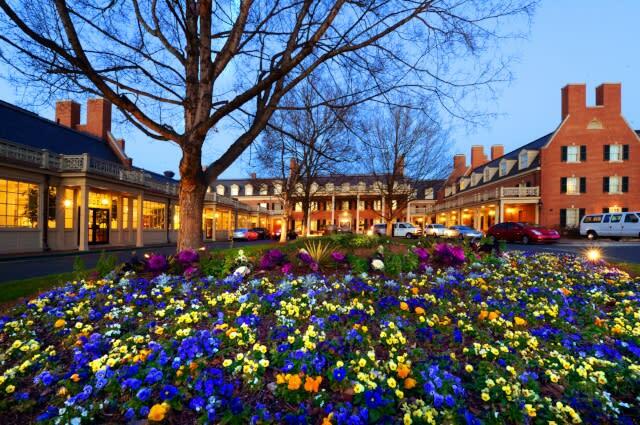 Stay, visit or dine at one of North Carolina’s most iconic destination hotels. The Carolina Inn, will blow you away. This historic hotel has earned the AAA Four Diamond Award since 1997 and is listed on the National Register of Historic Places. As a fundamental part of the university, The Carolina Inn sits in a central location on campus, is within walking distance of various shopping destinations, galleries, entertainment hubs and the Franklin Street district. The impressive architecture, modeled after George Washington’s home at Mt. Vernon, hosts more than 185 guestrooms and suites, making it the perfect place to stay during your visit to Chapel Hill. Inside the hotel, you’ll find the Crossroads Chapel Hill restaurant, offering exquisite gourmet cuisine that will make you want to come back for more. 7. Catch a live performance at Memorial Hall. UNC-Chapel Hill often has live shows perfect for visitors. Located at the heart of campus, Memorial Hall is home to various theater, dance and orchestra performances! Every year, the venue welcomes artists and performers from all over the world, shaping the performing arts culture on campus. 8. If Memorial Hall’s schedule doesn’t align with yours, check out the Playmakers Repertory Company. This professional theatre company in residence at UNC-Chapel Hill will amaze you with their talent. What’s even more impressive is their involvement with students on campus! New graduate students become a part of the acting company for the duration of their education, working closely with the pros. This helps provide graduate students with the skills necessary to pursue a career in theatre. 9. 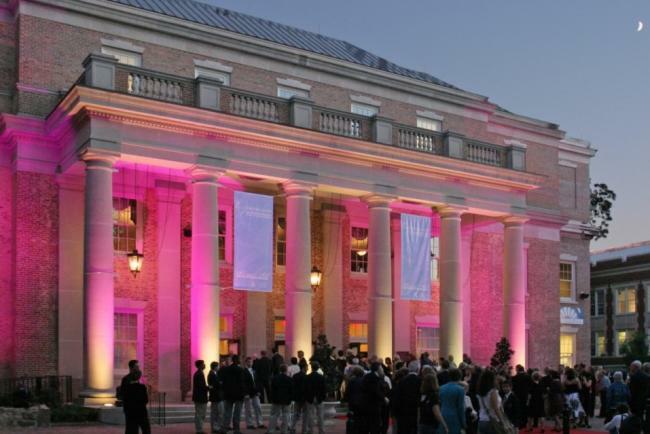 Stroll through one of North Carolina’s most important cultural resources: The Ackland Art Museum. Offering various art collections for visitors to marvel over – from European master paintings to American contemporary photography – this museum has impressive variety. The program schedule offers music, films, gallery talks, tours and other activities for all ages. 10. Visitors from all over have benefitted from Morehead Planetarium, and you can too! Discover why NASA sent its astronauts to Morehead Planetarium to learn about stars by blocking some time out for a visit. Since 1949, the planetarium has offered special courses, summer camps, afterschool programs, memberships and public viewings to help visitors understand science, technology and health on a deeper level. The sense of community, attractions and culture at UNC-Chapel Hill will make your visit an experience you’ll remember for a lifetime. There’s something special in the air at UNC-Chapel Hill, and it’s time for you to see for yourself.